As a building or facility manager, business owner, or dock operator in New York City, the safety and security of your facility should be priority number one. You never know what kind of danger may be lurking around the corner, or even plotting from the inside, of your building. There are several ways in which we can mitigate these risks and ensure the safety and security of our facilities, though they may not always be as apparent as you think. Sometimes, small details can slip through the cracks and compromise the safety and well-being of not only your building, but your employees or tenants as well. Security risks can evolve from these oversights and lead to attacks, crime, and other damages which can be harmful to not only your reputation, but your business as a whole. The overall goal is to not be associated with any major notorious event, be it a robbery or a terrorist attack or a former employee becoming estranged and causing violence. Instead, your building should be synonymous with safety, only being recognized for providing a safe environment and recognizable brand, product, or service. 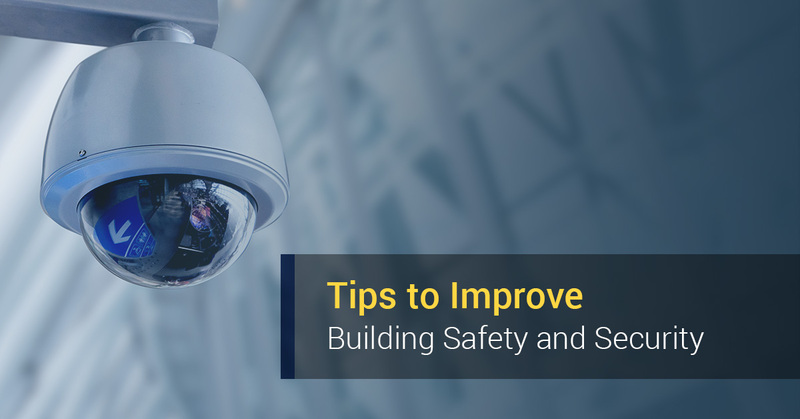 Following these tips to improve building safety and security can help thwart acts of terrorism, would-be crimes, and other risks from taking place on your watch. Protect your building facility from the threat of the unknown with a reliable visitor management system. Often times, these solutions are cloud-based visitor management systems which allow a building manager or tenants to make sure the people arriving at and entering your facility are properly credentialed and invited. The best answer for such visitor management in New York City is offered by Building Intelligence, which developed the SV3® Software as a Service (SaaS) to provide a comprehensive solution for securing vehicles, vendors, and visitors alike for buildings, schools, warehouses, docks, and more. With a visitor management system, you can streamline the security process by pre-registering visitors, providing a secure access card with a custom QR code for your badge reader, and issue a photo I.D. card with check-in and check-out times. You can also receive notifications to track visitors, store their visitor records on a private database, and more. With a cloud-based system, all of this is done in a user-friendly application, allowing you to prevent unwanted guests and bulk up the visitor authorization process without compromising safety, security or efficiency. The SV3® solutions work great for enterprise, visitor management, vehicle access, and loading dock security and scheduling, and can help you improve security and increase your facility’s overall value. Our state-of-the-art software is not only highly recognized as an industry leader, it’s also award-winning and reliable. Being able to track, manage, and authorize all of your visitors in an efficient manner is certainly the first step towards improving your building’s safety and security. By only allowing trusted visitors and vendors to access your building, you can protect yourself from property damages, risk of theft, insurance claims, unwanted personnel (including estranged employees), safety from hazardous materials, and more. While a visitor management system protects you from the unknown by allowing you to track the entry and exit of your verified guests, it can’t fully protect you from outside threats. That’s where the installation of outside security cameras can come in handy. Having cameras, and even motion detection lights for the night hours, can be enough to deter potential criminals or attackers from going through with their poorly constructed plans. Noticeable cameras signal that someone is always watching, and can increase your property’s value and safety simply by keeping a watchful eye on the outside of your building. A CCTV surveillance system on the inside can also be a wise investment, allowing you or your security personnel to track the main entryways, lobby, parking lots, and elevators. Always make sure your cameras are up to date and working properly so that you can have proper surveillance, which can mitigate the threat of risks and also provide a proper frame of reference should anything happen. Cameras should always be positioned in areas that aren’t always easily visible to the naked eye, ensuring that all of the corners and high-traffic areas are equally covered. Having security personnel monitor this footage in real time may be slightly less cost efficient, but can also help thwart threats in real-time. Motion detectors and automatic lighting are also efficient ways to thwart potential wrongdoers inside or outside your facility, but improving the lighting overall can also be an effective way to increase your security. Better lighting within your building allows you to have better clarity on your security footage while also eliminating potential nooks and crannies that criminals may use to hide or move through, especially late at night. Good lighting should also apply to areas like the parking lot or loading docks, where a good deal of attacks or crimes are committed. Also, especially if you are trying to improve the security of your outdoor facility or loading dock, it can be beneficial to install and maintain the fencing of the surrounding area. Just like proper lighting can deter an attack or theft, so can the appearance of strong fences. Loading docks provide access to critical infrastructure, so make sure you’re doing all you can to increase the area’s safety. If you already have security personnel, cameras, a visitor management system, good lighting, and proximity card access for your employees, you may already be well on your way to having effective building security. Still, you should always formulate a plan with your tenants and employees in the event of a security threat. Educate them on the importance of keeping their key cards safe, registering their visitors through your visitor management system, and have a layout of all of the entry points and exits readily available. From there, you can formulate guidelines, standards, and procedures for securing the property and its occupants from threats and unauthorized vendors. The safety and security of your building goes hand-in-hand with the success of your business, reputation, and well-being. Get started on protecting it today by contacting Building Intelligence today.